It seems that the Android operating system is becoming quite the popular target for malware authors. A new study from Juniper Network’s Global Threat Center has shown a 472-percent increase in the number of malware attacks coming in through applications for the popular Google OS. 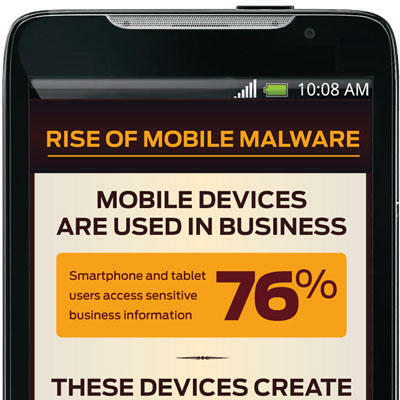 Apparently malware authors are finding that 52.5 percent smartphone market share hard to ignore. Sadly, this isn’t coming from third-party sites like the rogue Netflix app did last month, but instead is happening in the Android Market itself. A goodly number of the malicious apps do get removed, but only after users report the issues to Google, and by that time who knows how many people have had their phones infected. The Malware is coming in seemingly two flavors: Spyware and SMS trojans. The former is just what you would think it would be with it monitoring your personal info, but the latter can have a more immediate impact on you by sending texts to premium numbers the authors own at $2.99 to $3.99 per text. The SMS ones run in the background, and you never even know about the texts until your bill shows up, and then good luck trying to convince your carrier to reverse those charges. In short, even on your phone you need to be careful in this day and age about what you download because you never know what may be lurking (literally) in the background.